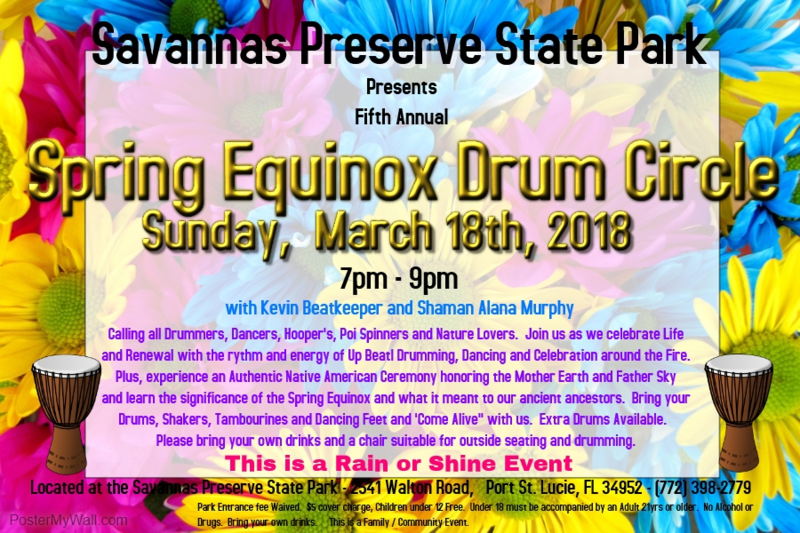 Winter Solstice: Celebrate the return of the Sun with local drumming enthusiasts at the Spring Equinox Drum Circle hosted by the Savannas Preserve State Park. 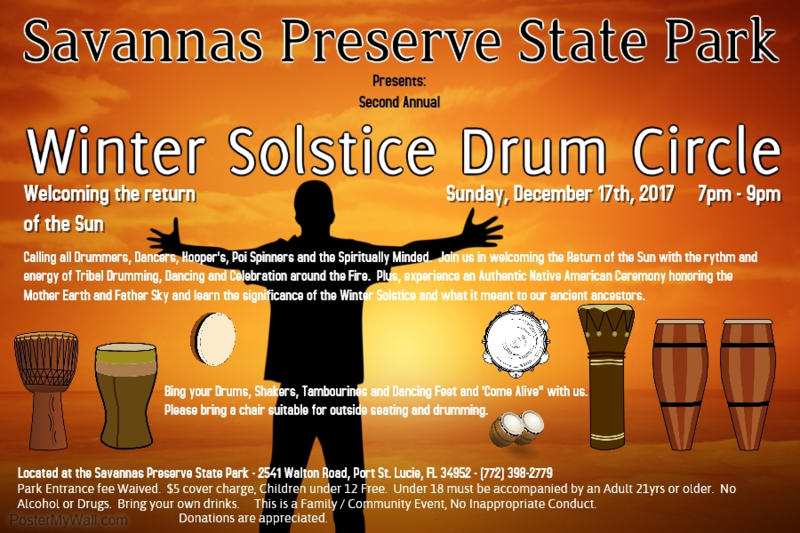 Please feel free to bring a drum if you have one, and join in the rhythm. Or you can just come and enjoy the ambiance in this beautiful and natural Preserve. Cost is $5/person, Children under 12 are free. No reservations required. 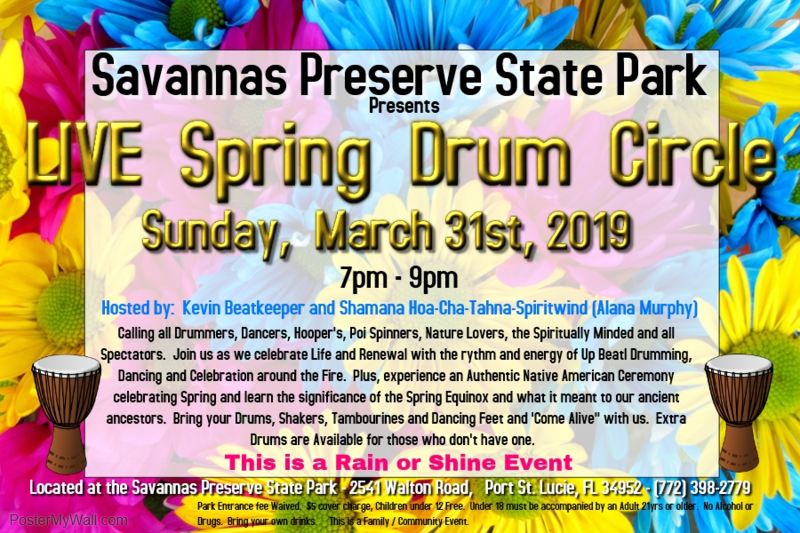 Spring Equinox: Celebrate the first day of Spring with local drumming enthusiasts at the Spring Equinox Drum Circle hosted by the Savannas Preserve State Park. Please feel free to bring a drum if you have one, and join in the rhythm. Or you can just come and enjoy the ambiance in this beautiful and natural Preserve. Cost is $5/person, Children under 12 are free. No reservations required. 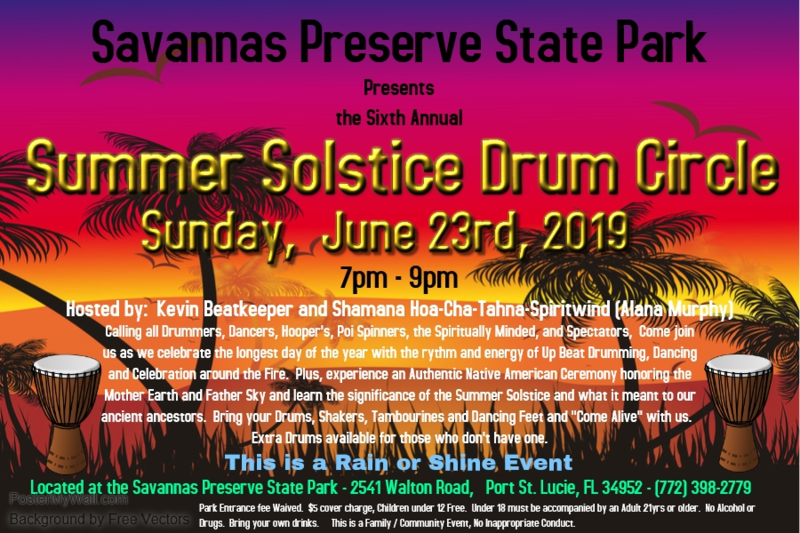 Summer Solstice: Celebrate the longest day of the year with local drumming enthusiasts at the Spring Equinox Drum Circle hosted by the Savannas Preserve State Park. Please feel free to bring a drum if you have one, and join in the rhythm. Or you can just come and enjoy the ambiance in this beautiful and natural Preserve. Cost is $5/person, Children under 12 are free. No reservations required. 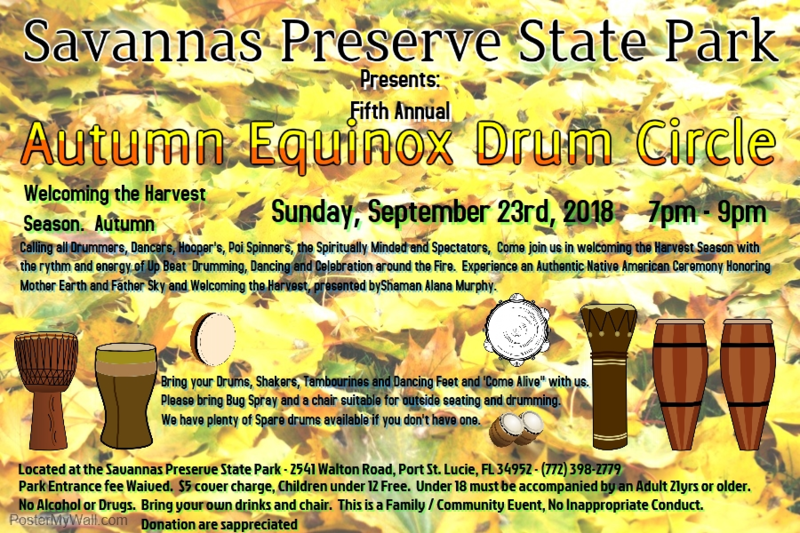 Autumn Equinox: Celebrate the first day of Fall with local drumming enthusiasts at the Fall Equinox Drum Circle hosted by the Savannas Preserve State Park. 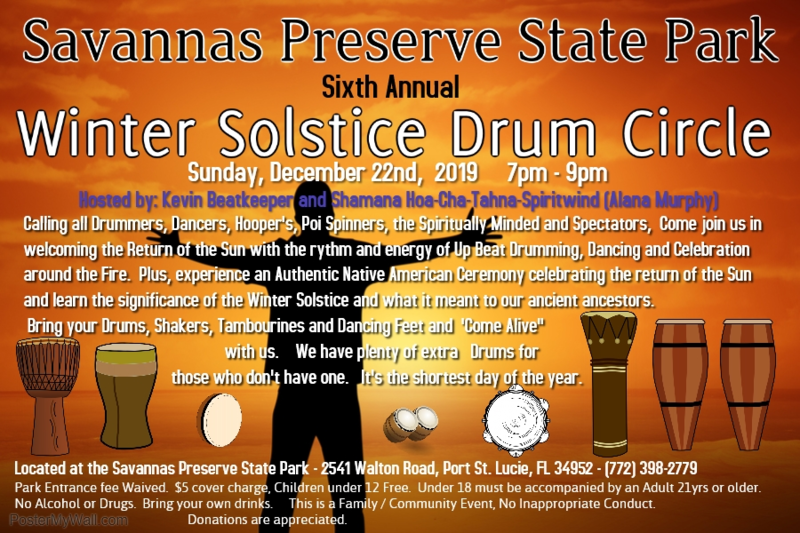 Please feel free to bring a drum if you have one, and join in the rhythm. Or you can just come and enjoy the ambiance in this beautiful and natural Preserve. Cost is $5/person, Children under 12 are free. No reservations required. Check the online calendar for dates and times.